In the late 1980s, Sister June Carpenter visited New Gloucester’s Sabbathday Lake Shaker community after reading about it in Down East. Peering up at the five-story, brick Dwelling House, she thought, “I should be living there.” Brother Arnold Hadd, meanwhile, joined the community years earlier, at age 21. Today, the two are the world’s only remaining Shakers, living in the only active Shaker village. Established in 1783 on 1,800 acres of forest and farmland, the community, the religious principles of which emphasize hard work, simplicity, and celibacy, maintains 18 historic, mostly white-clapboard buildings. Visitors can peruse some exhibits and the Shaker store free of charge, Monday through Saturday, and are welcome to attend Sunday services in the 1794 gambrel Meeting House. 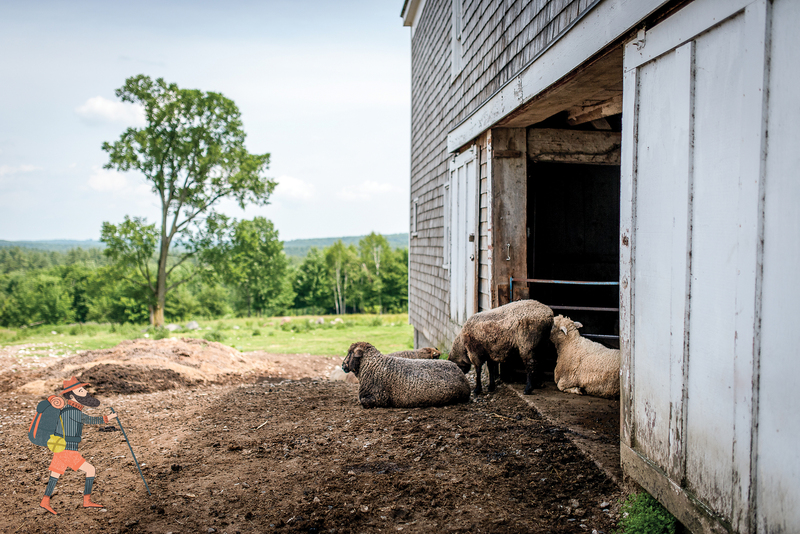 Guided tours offer a look at a pastoral lifestyle once more or less the norm in New England. 707 Shaker Rd. 207-926-4597. ► Selfie: Stand outside one of the handsome white buildings or barns. Don’t pester the sheep. 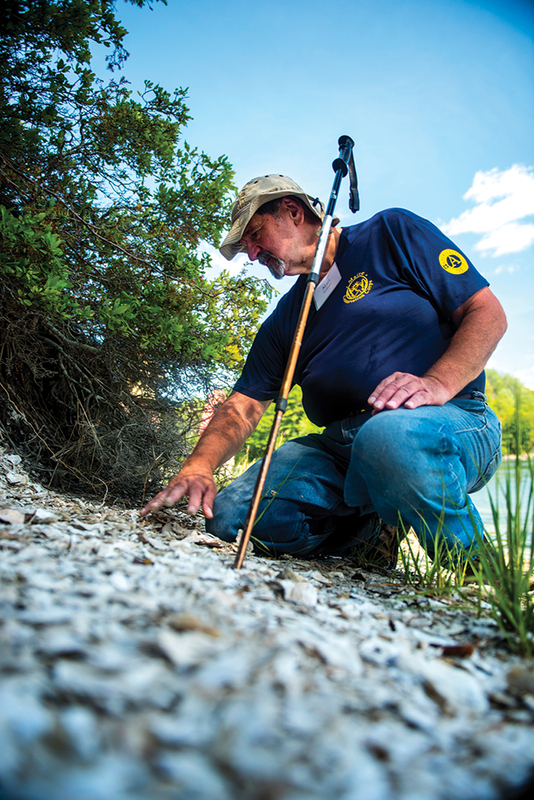 Long before Mainers started presenting oysters on cute round trays with thimbles of mignonette, the region’s earliest inhabitants were enjoying the Damariscotta River’s bounty — and there are thousands of years of evidence piled up on its banks. Shell middens, these heaps of discarded oyster shells, were once found all up and down Maine, but centuries of settlement and rising tide have destroyed many of them.  At Damariscotta’s Whaleback Shell Midden State Historic Site, a lovely walk through an apple orchard leads to a river overlook atop a hill that, at first blush, you may not realize is actually a heaping pile of ancient discarded shells.535 Main St., Damariscotta. 207-563-1393. ► Selfie: Pose by one of the interpretive displays or on the swinging bench, from which you can view another impressive midden on the opposite shore. It’s a tragic site, but a fascinating one: On a frigid afternoon in January 1963, a B-52 jet carrying an Air Force crew of nine lost the vertical stabilizer from its tail and smashed into Elephant Mountain, some 15 miles outside of Greenville. Three men ejected, two of whom survived. The rest of the crew was lost. Rather than evacuate the wreckage, the Air Force — and subsequently, organizations like the local snowmobile club — elected to leave it in place and allow the site to become a memorial. 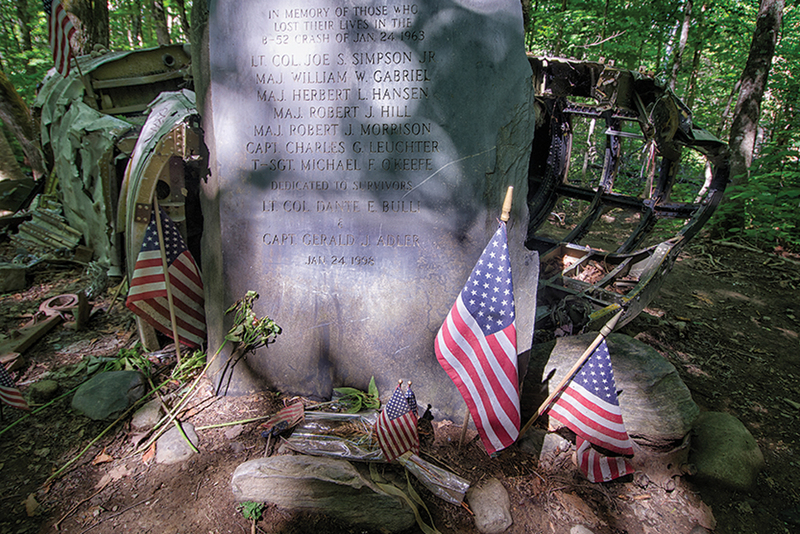 A hike of less than a half-mile leads through mixed forests, wildflower patches, and mechanical debris to the flag-strewn fuselage and a somber slate memorial. Follow Lily Bay Rd. north of Greenville to Prong Pond Rd. Turn right and drive 8 bumpy miles to the marked trailhead. ► Selfie: Out of respect, take your selfie at the “B-52 Site” sign at the trailhead, rather than at the memorial itself. 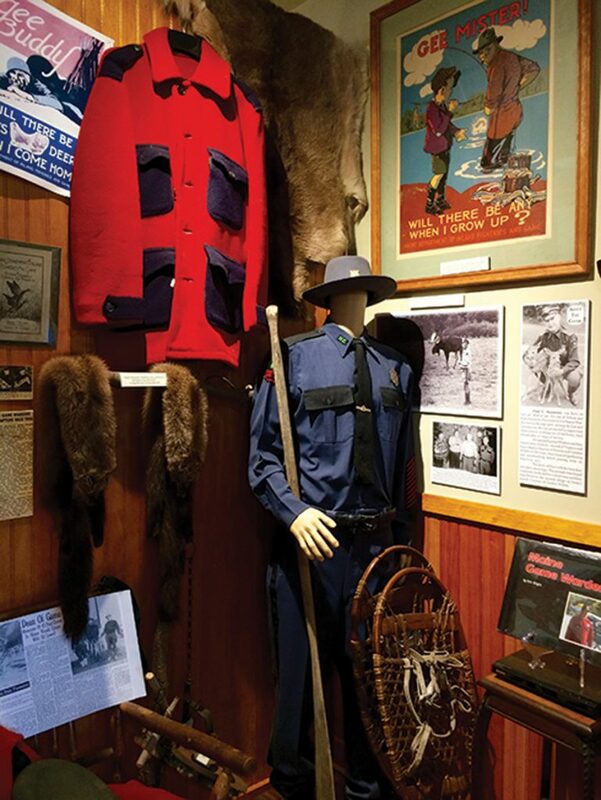 Rangeley’s Outdoor Sporting Heritage Museum keeps upping its, ahem, game. The Rangeley Lakes Region Historical Society spent a cool million to open the place in 2010, and of late, the group’s received some impressive grants to boost programming. Anglers will take to the fishing parapernalia and programming (think cool vintage lures), but the museum, with its turn-of-the-20th-century sporting-camp facade, has something for everyone. You wouldn’t think an exhibit about 19th-century picnicking would be as interesting as it is (foodies will dig the old gear); likewise, the tale of a trick-shooting local bellhop who bested Annie Oakley. 8 Rumford Rd., Oquossoc. 207-864-3091. ► Selfie: In front of the museum, find the charming statue of a mama black bear and her cubs, then stand alongside and show us your claws. 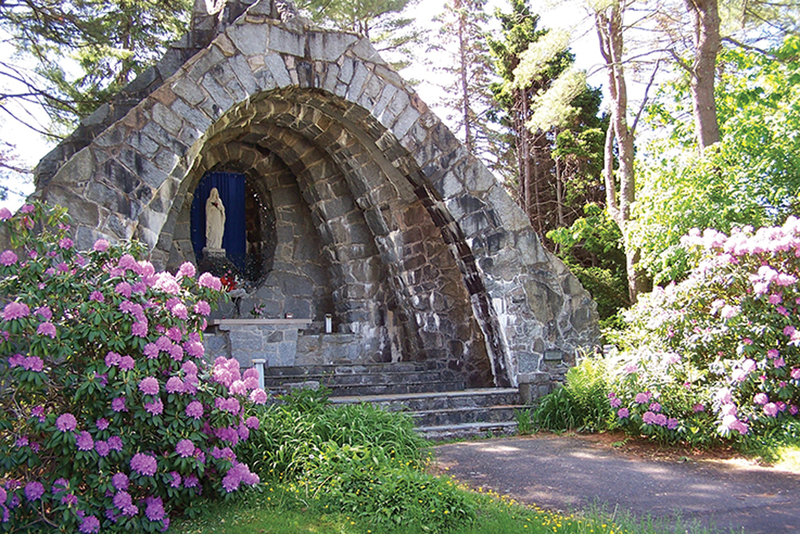 The friars of St. Anthony’s Franciscan Monastery in Kennebunk welcome the public to tour their lovely estate, which backs up to the Kennebunk River in the town’s Lower Village. Wooded trails pass by English-style gardens, quiet outdoor chapels, and a number of exquisite stone statues and shrines. Architect Jonas Mulokas — who, like the friars, came to the U.S. from Lithuania — designed the Grotto of Our Lady of Lourdes and the Chapel of the Stations of the Cross. The most striking piece, however, is a contemporary bas-relief sculpture by Vytautas K. Jonynas that adorned the Vatican’s pavilion at the 1964/1965 World’s Fair in New York City. There’s a brochure for self-guided tours and a gift shop as well. 28 Beach Ave., Kennebunk. 207-967-2011. Step Into History at . . . Renys? Really? History at a department store? You know it, bub. Renys has been a part of the fabric of Maine since the Truman administration. Next summer, the company will celebrate 70 years since Robert “R.H.” Reny opened his first store, in downtown Damariscotta, in 1949. (His photo above ran in a Down East profile 30 years ago this month.) Renys has 17 locations now: The Farmington location is the former Music Hall Theatre, a Queen Anne–style playhouse opened in 1881. The Gardiner location is in the 1896 Romanesque Revival Patten Block, once a post office. The Pittsfield store is in a 1908 former bank. 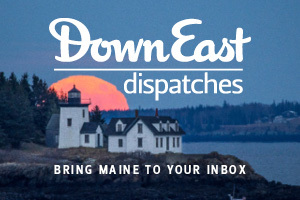 Anchoring historic downtowns? It’s all just part of the Maine adventure. ► Selfie: R.H. Reny passed away in 2009. Today, the portrait above, by Down East contributor Ben Magro, hangs in every Renys retail location. 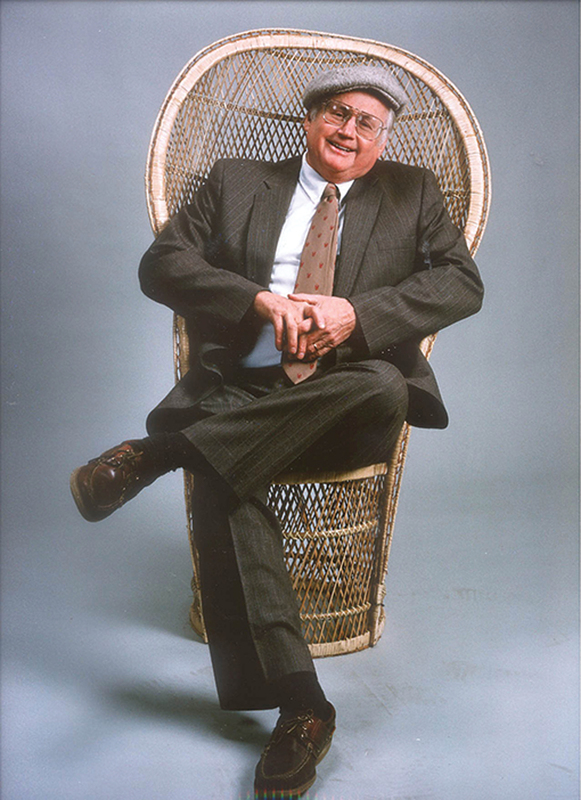 Find it at the Renys store of your choice, and get a shot alongside Renys’ founder.